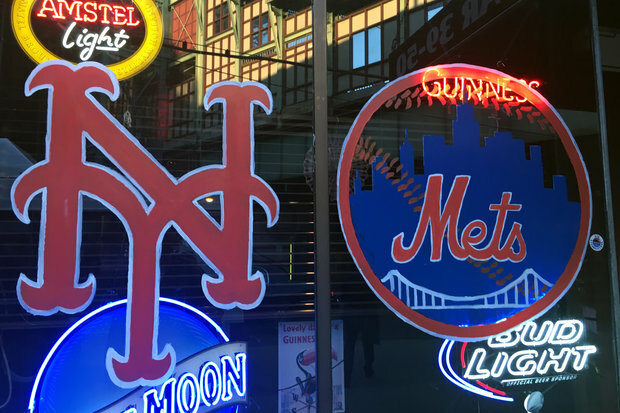 Our roundup of some great places to watch the game if you can't get to Citi Field. It’s a wonderful time to be a Mets fan. But not everyone can afford to watch the home team play the Chicago Cubs this weekend at Citi Field. Tickets, only available at this point from second -party sellers, are selling for upwards of $11,000 for two tickets. Here’s a brief roundup of some of our favorites. Let us know some of your favorite places and we’ll add them to the story. This is as close as you can get to the field without paying half a year's rent for a ticket. There's plenty of TVs and a lively crowd, and enough space to fill many eager fans. Plus the bartenders like pouring shots from the bar when the game's are going well, so there's the lively atmosphere to enjoy. This spot inside the Holiday Inn is a popular spot for pre and post-game festivities at Citi Field, which is just across the Grand Central Parkway. One time a DNAinfo reporter saw Dwight Gooden there, so you never know. This old-school pub in Glendale is filled with Mets memorabilia, including seats from Shea along the bar. The bar is spacious with a large dining room in the back. This Irish pub has ample seating, plenty of TVs, delicious food and a disco ball. Order the curry fries before watching the Mets play. One of the peninsula's oldest bars has what many would say is the best Guinness in the city. Try it out yourself while watching the Mets on a few of the big screened TVs behind the bar. Believe the hype: This spot has one of the best burgers in the city AND the cozy bar is the perfect place to watch the game. Good food and TVs. You're set. TVs line the walls and the bars at this bar, which will be loaded with legitimate Mets fans watching the game. And the old championship squad from 1986 used to party here after games, so hopefully some of the good luck will rub off. Wings, beers, and the Mets on TV. You don't need much else from a bar, and the fact that this one is loaded with fans is a bonus. This place is far from fancy, and some of the drinkers may have been sitting at the bar since 1986. But it's close to the 7 and the LIRR, has TVs and the beer is cold. Plus the front of the bar has been decorated with Mets memorabilia.